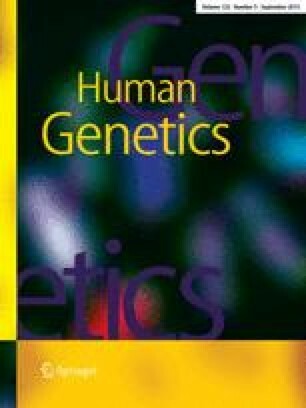 Interspersed simple repetitive DNA is a convenient genetic marker for analysis of restriction fragment length polymorphisms (RFLPs) because of the numbers and the frequencies of its alleles. Oligonucleotide probes specific for variations of the GA C T A simple repeats have been designed and hybridized to a panel of human DNAs digested with various restriction enzymes. Numerous RFLPs were demonstrated in AluI and MboI digested DNA with “pure” GATA oligonucleotides as probes. The optimal length of the probe for RFLP analysis was 20 bases taking into account fragment lengths (1.5-7 kilobases = kb), signal to background ratio, and number of clearly evaluable RFLPs. By using different restriction enzymes individual-specific hybridization patterns (“DNA fingerprints”) can be established. Hypervariable simple repeat fragments are stably inherited in a Mendelian fashion. Advantages of this method are discussed.